A how-to manual for yoga with kids in classrooms and therapeutic settings. If you are a parent of a child with special needs or a professional who works with one, you know how challenging it can be for them to sit still, to cope with change, to focus on self-soothing strategies, and to interact successfully with others. For these kids, yoga therapy can provide crucial support. Behavior and focus, strength, flexibility, balance, and self-regulation are all improved through yoga, making it an ideal practice for children on the autism spectrum, with ADHD, sensory processing and emotional/behavioral disorders, and other exceptionalities. 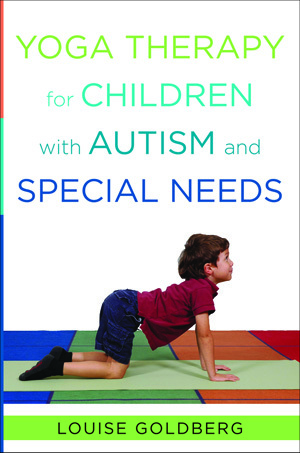 For use in school, at home, or in therapeutic settings, Yoga Therapy for Children with Autism and Special Needs is a how-to manual that meets children where they are, providing a yoga therapy "lesson plan" that will engage them; promote play, social interaction, speech, language, and motor development; and enhance their self-esteem. It teaches an array of CreativeRelaxation techniques using posture, breathing, and mindfulness designed specifically for children with autism and special needs. Drawing on her 30 years of yoga therapy experience with children and those who work with them, the author walks readers through yoga strategies that both calm and energize, emphasizing sensory and bodily awareness and the "sacred space" that is so important for these children. Learn the best ways to use your voice and body effectively when working with children; how to minimize distractions and ease transitions; and how to create personalized yoga breaks to enhance independence and avert meltdowns. Featuring 60 illustrated poses, 89 photos, and 65 lessons, songs, and games, child-friendly instructions are provided for posture, breathing, and mindfulness exercises. All poses and routines include suggested adaptations and precautions for use, and are organized to address specific sensory skills. Current research on the benefits of yoga for health and learning is summarized, and readers learn how, through yoga practice, the brain’s response to stress can be effectively mitigated. With this book, parents, therapists, and educators alike have the tools to successfully develop a therapeutic yoga program for the very children who can benefit most from it.